As you probably know, March is Nutrition Month. Traditionally this is the month in which dietitians come out in full force on social media, and in news articles, with nutrition tips, recipes, etc. This year I noticed a change. Yes, dietitians are still out there telling everyone to eat more vegetables, promoting the profession, and encouraging people to “unlock the potential of food”. Interspersed throughout those posts and articles though are ones from a new voice, naturopaths. On March 15th the Institute for Natural Medicine put out a news release titled “Naturopathic Doctors Complete 155 Hours of Nutrition Education in Medical School: March is Nutrition Month“. In the linked FAQ: “What advanced nutrition education do naturopathic doctors receive?” the INM states that, “Naturopathic doctors provide individualized nutrition assessment and guidance utilizing evidence based nutritional recommendations” (emphasis mine). On addition, one of the “areas of concentration” is “collaboration with Registered Dietitians, as needed”. While part of me is glad to see Nutrition Month catching on, rather than being an echo chamber of RDs, another part of me is frustrated to see it being co-opted by a pseudoscientific profession. The use of the term “evidence based” concerns me. What evidence might that be? Those of us working in dietetics and medicine often talk about the need for treatments, interventions, and programs to be evidence-based. However, these interventions are only as good as the evidence on which they’re based. Ideally, you want high level evidence like guidelines and and summaries which draw on a larger body of research demonstrating consistent results (check out the 6S Pyramid from the National Collaborating Centre for Methods and Tools for more details). At the bottom of the pyramid, are single studies. The single studies aren’t necessarily poor (they’re the foundation for the higher levels of the pyramid) but if there aren’t many and they aren’t in agreement it becomes difficult to make solid evidence-based recommendations. Also, it can be easy to cherry pick single studies to support nearly any position and proclaim your stance to be “evidence-based”. Without attending naturopath school, I can’t say how credible the evidence-base they’re drawing on is with certainty. However, based on what I see on the websites, social media feeds, and have heard from many people who’ve seen naturopaths, I think it’s wise to question the quality of the nutrition education they’re receiving. I also question the statement about collaborating with RDs. I’m sure that someone will tell me I’m wrong in the comments but in my experience, I have never heard of a naturopath referring a client to a dietitian. Considering their 155 hours of nutrition education and their alleged nutritional knowledge I’m not sure why they would see a benefit to referring a client on to one of us. Emma told me that they started seeing a naturopath to improve her diet, energy, and overall health. She found the naturopath to be very down-to-earth with realistic expectations and advice in-line with current research. She said, “She’s always been incredibly supportive; always learning; always approaching everybody as an individual and very willing to make adjustments depending upon someone’s reactions to process.” This naturopath also provided affordable recipes and shopping plans. Ava went to a naturopath for IBS and was told to try a FODMAP elimination diet. Emma’s naturopath promoted organic products as best and advised her to avoid GMOs. Ava was also told to eliminate gluten (despite having expressed no issue with gluten and not having celiac disease). She was also not provided with sufficient support to feel like she could adhere to the low-FODMAP diet and quickly abandoned it. Liam was diagnosed with hypercholesterolemia and prescribed medication by his doctor. He didn’t tolerate it well so he went to a naturopath who sold him a special drink and put him on an alkaline diet. Sophia went to a naturopath to help her control her severe asthma. The naturopath advised her to eliminate gluten and follow a vegan diet with the explanation that, animal products increase inflammation in the body and were worsening her asthma. As she had previously eliminated gluten and experienced no benefit she followed a vegan diet for about 6 months. She experienced no decrease in symptoms during this time so she reintroduced animal products to her diet. Liver cleanse supplements were part of the plan provided by Emma’s naturopath. Olivia went to see a naturopath and was told to cut out dairy, given a stack of photocopied book chapters and opinion pieces, and $800 worth of liver detox tablets, supplements, and powders. To be fair, this was pre-Internet times so photocopies were not so odd, and the profession may have grown since then. But, that also makes the cost of supplements even more exorbitant than it sounds today. Mia was advised to consume raw milk, and to give the same to her three year old child. Amelia has both celiac disease and multiple sclerosis. Despite following a gluten-free and dairy-free diet, taking recommended supplements and medications, she still experienced digestive issues. She went to see a naturopath who advised her to get IgG allergy testing. Due to the nature of this not recommended form of allergy testing the naturopath told her she could no longer consume the foods that she was consuming the most of leaving her with very little that she could still eat. Harper went to see a naturopath after being diagnosed with breast cancer. After spending over $15, 000 on a “natural” treatment overseas she ended up having a double mastectomy but sadly died within a year. If this is the sort of nutrition advice that naturopaths are providing I’d rather have Nutrition Month remain the echo chamber of dietitians promoting truly evidence-based nutrition recommendations. 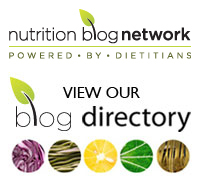 Tags: dietitians, evidence-based, health, INM, naturopaths, naturopathy, NDs, nutrition, nutrition advice, Nutrition Month, RDs, science | Permalink. Why are we so celebrity obsessed? It seems like the majority of people are far more likely to listen to celebrities, especially actors and singers, than to educated professionals. I was at the gym last week and there was a news channel on one of the televisions in front of me. They had a segment on in which a young actress was extolling the virtues of her “cruelty free” diet. Essentially a vegan diet as far as I could tell. The newscaster was saying what a great diet it must be because she’s so slim. Really? Yes, a primarily plant-based diet is a healthy diet. However, this actress likely had no education in nutrition or health. Being skinny doesn’t necessarily mean that she’s healthy. Nor does it mean that she is a good person from whom to take dietary advice. It’s unfortunate that we place so much weight on the opinions of a small group of beautiful elite. Yes, they’re entitled to their opinions. Yes, they may even know what they’re talking about. However, they very well may not know what they’re talking about. Everyone has an opinion on food. Eating does not make a person a nutrition expert. Tags: celebrities, nutrition, nutrition advice | Permalink.